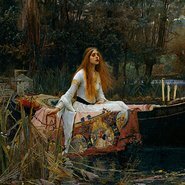 Travel with us to the National Gallery of Australia in Canberra and enter a world of Love & Desire , through the stunning survey exhibition of Pre-Raphaelite masterpieces from the Tate. Love & Desire features 40 of the Tate’s best-loved works, including John Everett Millais’ Ophelia 1851–52, alongside 40 loans from other British and Australian collections. Rarely lent, most of these masterpieces have never been seen in Australia before and the exhibition represents a once-in-a-lifetime opportunity. Morning tea at the Courtyard Café in Berrima, exhibition entry and guided tour are included. There will be time to explore the NGA’s other collections at your leisure. Lunch is not included. You are welcome to bring your own or buy at the gallery café in your own time. Three full working days (Mon–Fri) notice is required to qualify for a refund. All refunds attract an administration charge of 25% of the ticket price(s) with a minimum charge of $5. Not negotiable.